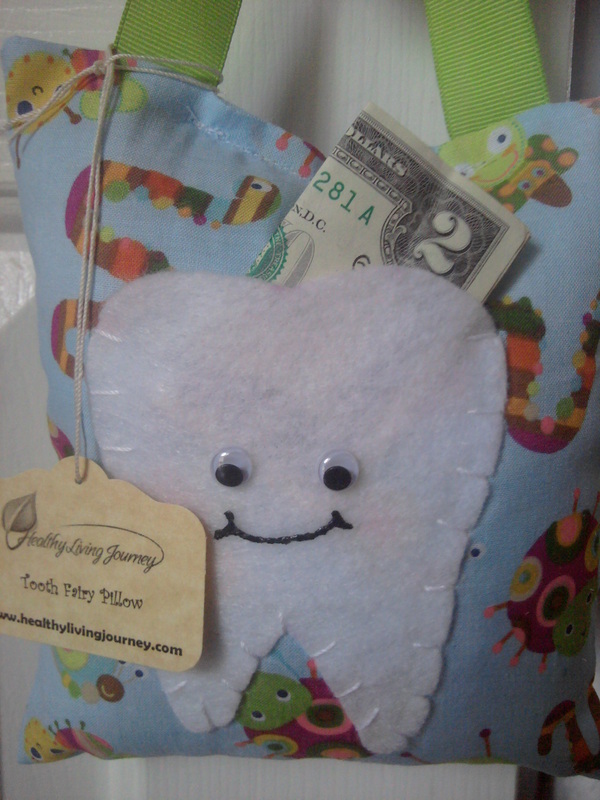 Adorable Tooth Fairy Pillows, made from cotton and features a tooth shaped pocket to hold both lost tooth and Tooth Fairy treasure! Our happy little pillows measures approximately 6.0" x 5.5" and is made with 100% Cotton, and stuffed with ultra soft Polyfil. 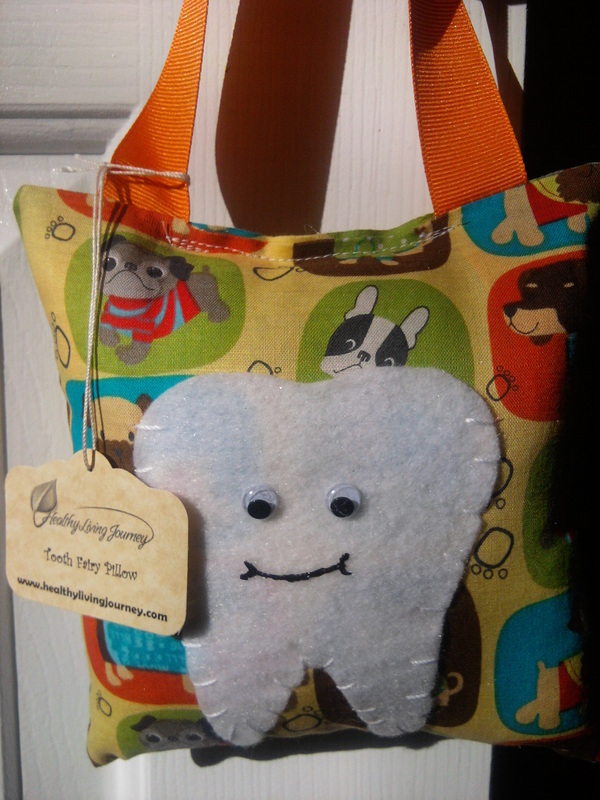 The hand-stitched felt tooth on the front is a clever little pocket to keep lost teeth safe until the Tooth Fairy stops by. 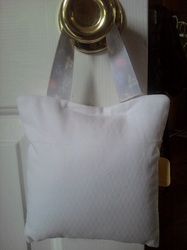 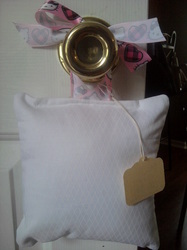 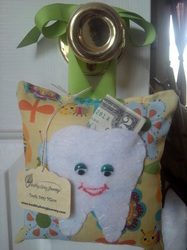 Finished with a coordinating ribbon, this Tooth Fairy Pillow is perfect for hanging from a door knob or bed post to keep the Tooth Fairy from waking little sleepyheads while exchanging the goods. 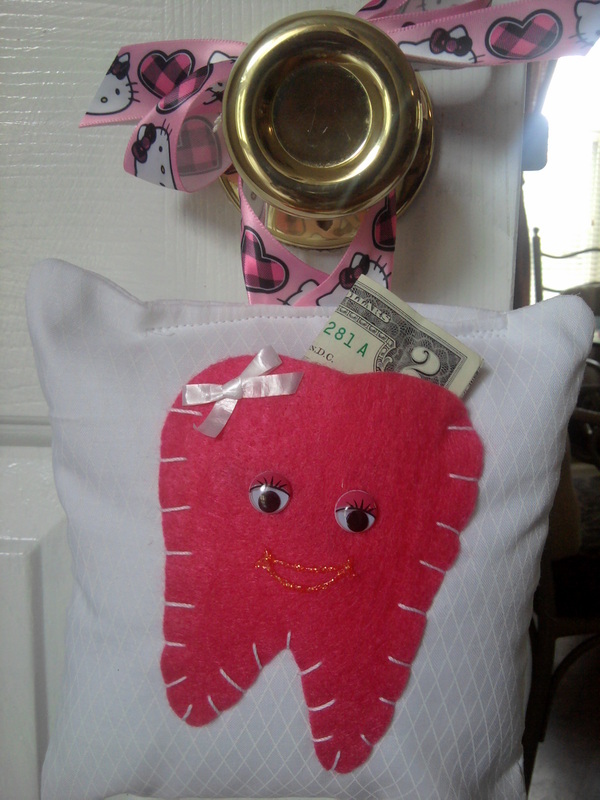 This adorable Girl's Tooth Fairy Pillow has a bright pink flower pattern with a yellow polka-dot ribbon. 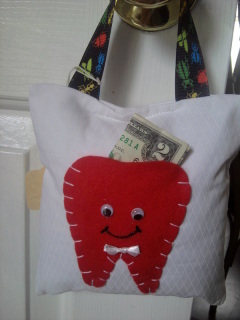 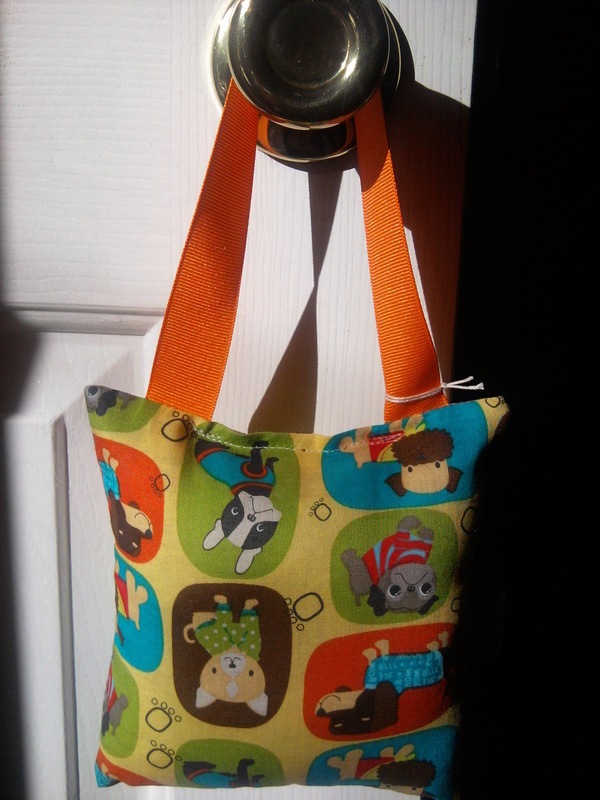 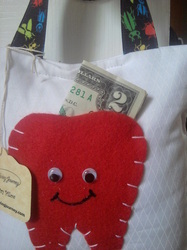 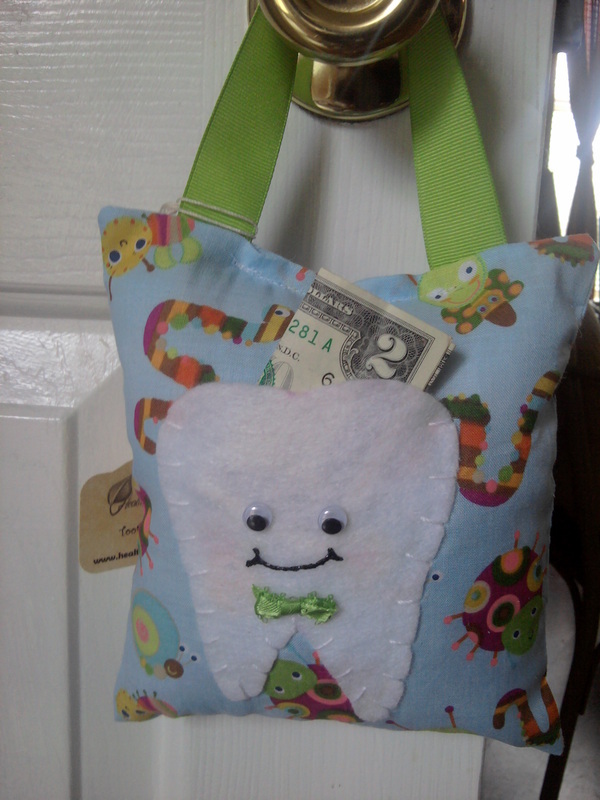 It features a tooth shaped pocket to hold both lost tooth and Tooth Fairy treasure! 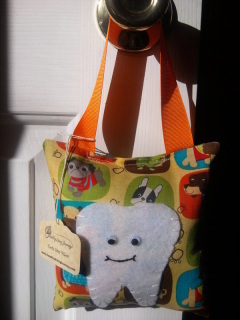 This adorable Boy's Tooth Fairy Pillow has a dog print with an orange ribbon. It features a tooth shaped pocket to hold both lost tooth and Tooth Fairy treasure! 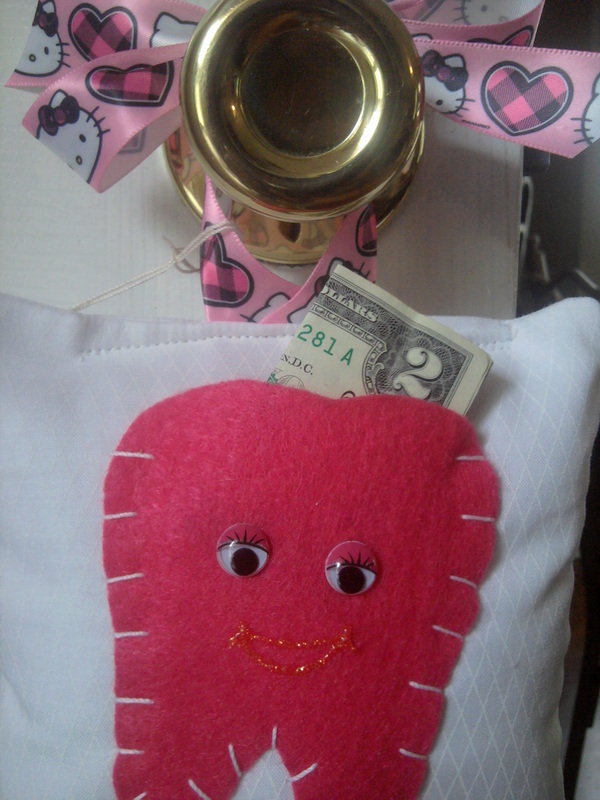 This adorable Girl's Tooth Fairy Pillow is all white with a cute hot pink tooth & it has a hello kitty ribbon. It features a tooth shaped pocket to hold both lost tooth and Tooth Fairy treasure! 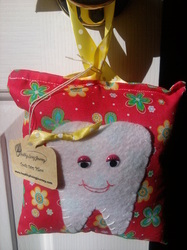 This adorable Boy's Tooth Fairy Pillow is all white with a cute bright red tooth & it has colored bug ribbon. 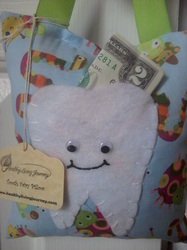 It features a tooth shaped pocket to hold both lost tooth and Tooth Fairy treasure! 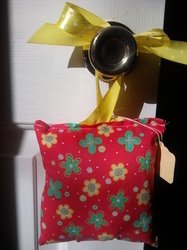 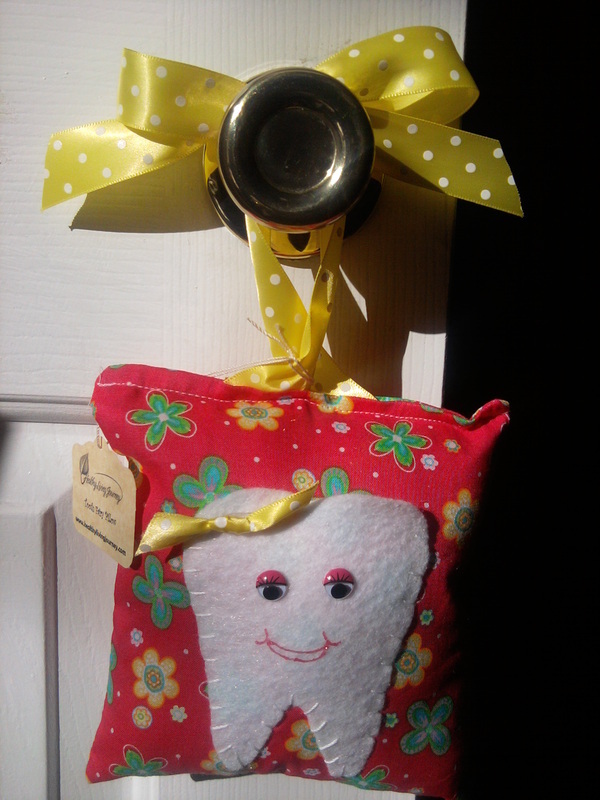 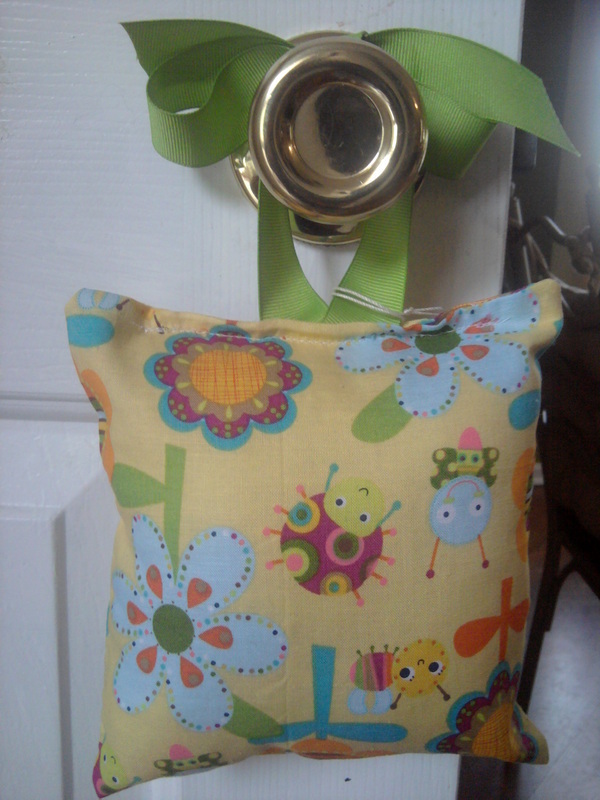 This adorable Girl's Tooth Fairy Pillow has a warm yellow flower & bug pattern with a lime green ribbon. It features a tooth shaped pocket to hold both lost tooth and Tooth Fairy treasure! 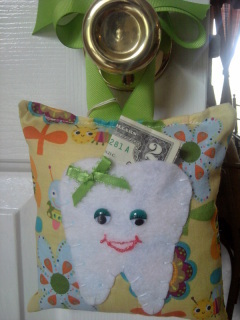 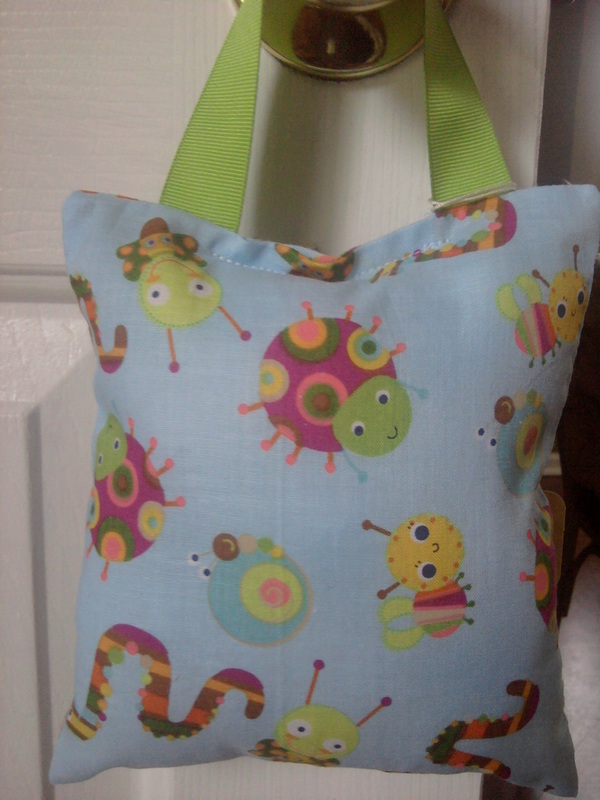 This adorable Boy's Tooth Fairy Pillow has a light blue buggy type pattern with a lime green ribbon. It features a tooth shaped pocket to hold both lost tooth and Tooth Fairy treasure!